2017 EU issue on 180g 2LP= Joe Jackson – A careful selection of hits and tracks, featuring "Fools In Love", "Is She Really Going Out With Him? ", "It's Different For Girls", "You Can't Get What You Want", "Hometown (live)", "He's A Shape In A Drape", "Happy Ending featuring Elaine Caswell" and many more track. A2 Is She Really Going Out With Him? British singer/songwriter Joe Jackson is one of the most diverse artists ever. He's a jack of all trades, with each album breaking new musical ground. A real sound poet, constantly exploring new territories with his music. He's regarded as one of the most intelligent and uncompromising artists in modern recording. His debut single, "Is She Really Going Out With Him? ", was not an immediate hit; however, by the time his debut album Look Sharp! was released, the song had reached charts in the U.K. and U.S., earning him a gold record. For the follow-up, he producedthe top 5 hit "It's Different For Girls", Joe received the highest musical accolade of the Netherlands, the Edison Award. After two edgy new wave pop records, his next tracks included some reggae influences such as the tracks ­–"One to One" and "Mad At You", while "Jumpin' Jive" – recorded with jazz musicians – was full of old jump blues and swing tunes. The huge commercial success came with his crafted pop songs "Steppin' Out" and jazzy "Breaking Us In Two" climbing the charts worldwide. 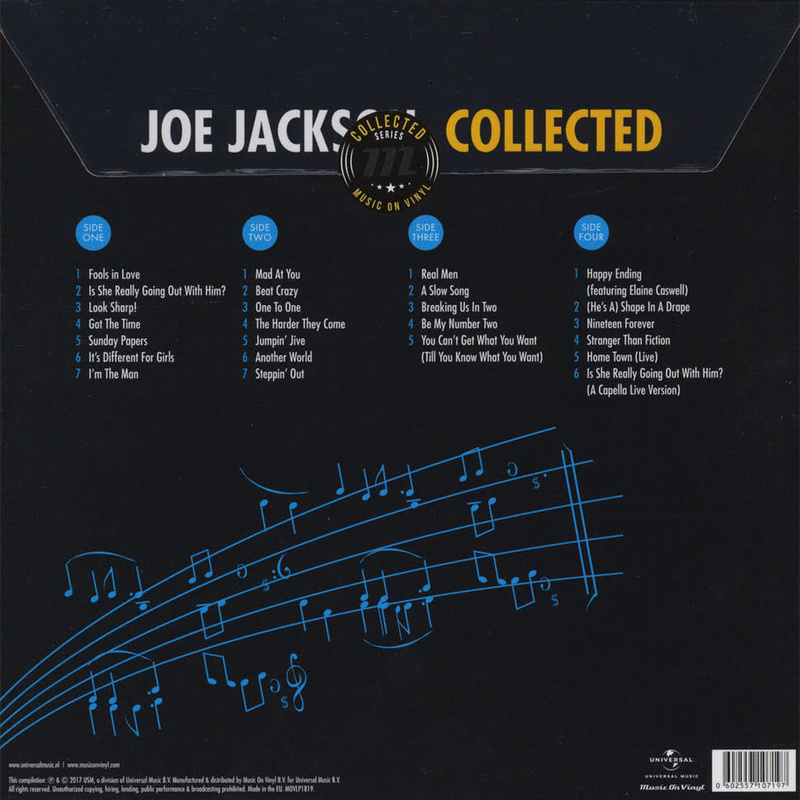 Joe Jackson produced even jazzier hits in 1984 such as "Happy Ending", (a duet with Elaine Caswell), "Be My Number Two" and "You Can't Get What You Want". The album Big World (1986), a live album of entirely new material including "Home Town", was recorded during six concerts. It is not a regular live album though, the audience was asked to be quiet during the songs and the applause was edited out. The pop song "Nineteen Forever" was part of a larger construction from the album Blaze Of Glory, designed to tell a semi-autobiographical story. In 1991 Joe Jackson decided to abandon pop once and for all in favour of more serious music. It spawned the track "Stranger Than Fiction".